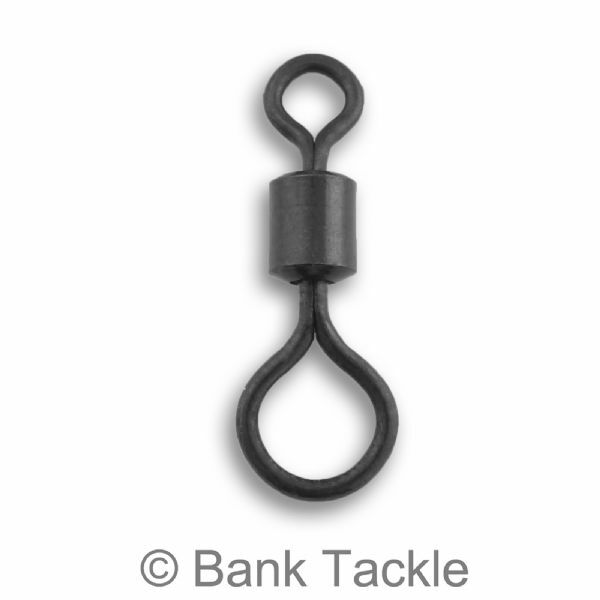 Big Eye Rolling Barrel Swivels with a matt black non reflective coating. Big eye swivels are an important part of a carp fisherman's tackle box. 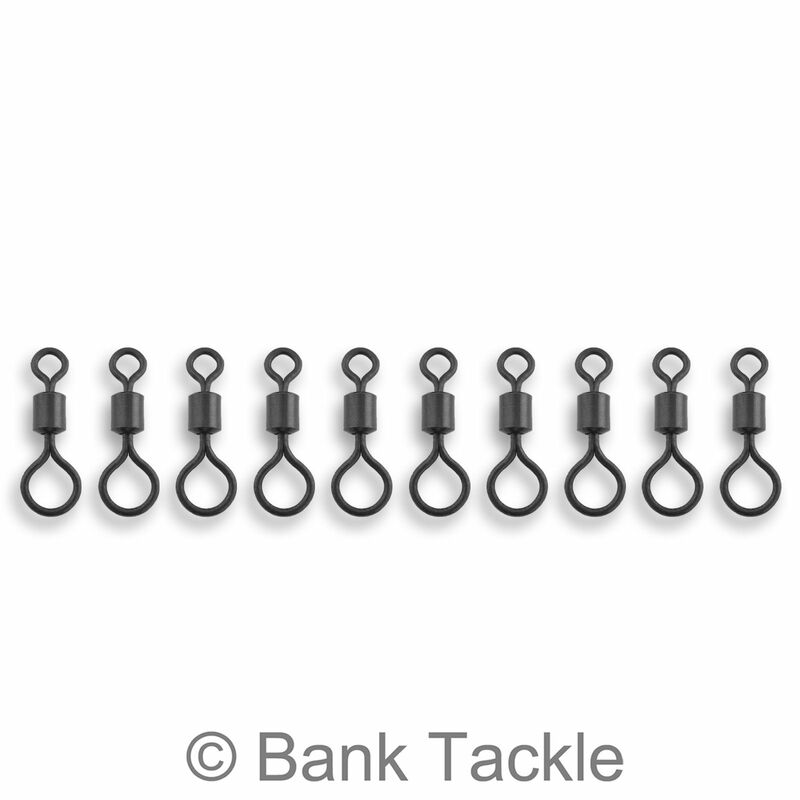 Big eye swivels are used when making a vast number of carp rigs including Zig Rigs, Chod rigs and Helicopter Rigs. The big eye allows the swivel to move easier up and down the line creating a more natural presentation and movement of your chosen hook bait. 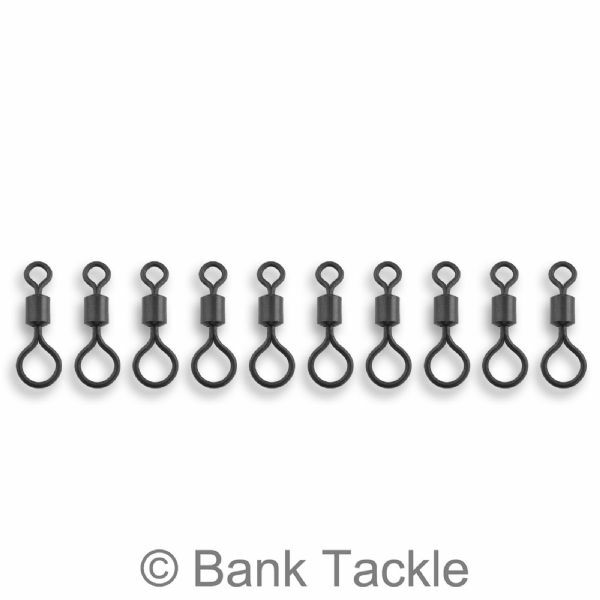 These are genuine UK size 8 Big Eye Swivels and fit all standard Lead Clips on the market.